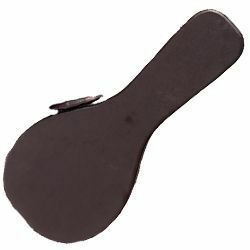 Your mandolin will look cozy when resting on the plush red lining of this case. The Profile PRC300-MA is a Hardshell A-Style Mandolin Case. This case replaces the older PRC-115MA model. Exterior made of tough black vinyl for extended durability.